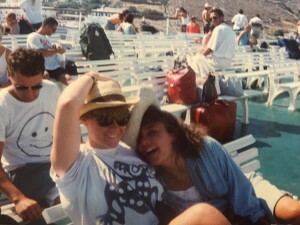 Last summer, my niece, Emily, who was 16 at the time, asked me if I’d like to go traveling with her to Greece. “Oh, I know!” I said, rather embarrassed. I mean, when I was there at 21, I did spend a day or two in Athens, visiting the Acropolis and Parthenon, etc but after that we headed to the islands pretty quick. At any rate, Emily did some research and discovered that the legal drinking age in Greece is 16. Not that that really matters but suffice to say, Emily and I are heading to Greece in August…economic crisis and all. We’ll be backpacking for 3 weeks – as in, staying in hostel dorms with all the 21 year-olds. Oh boy. We’ll be exploring Athens for 3 days and then heading north to Meteora and Delphi and then on to the islands of Hydra, Naxos, Ios and Santorini. Now to pay for this trip, over the last year Emily has worked hundreds of hours at her retail job to earn the bulk of the money to go. Her parents are chipping in the rest. In my opinion, at 17 that is beyond impressive…especially since she is also on target to finish grade 12 five months early. Now since this is a Mothering Matters blog, I wanted to share a bit of my perspective about this being-an-Auntie business. Because for me, being an Aunt has thoroughly enriched my life. 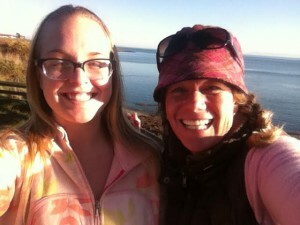 A few months ago, I read an excellent blog by Nina Steele, the founder of nonparents.com – which is an informative website for people without children, by circumstance or choice. The article was entitled, Can Being an Aunt or Uncle Help Heal the Pain of Childlessness? Now as you may have gathered by now, for me there is no longer any pain involved with not having a child/ren of my own to raise. On the contrary: the older I get, the happier I am that I don’t have kids of my own. 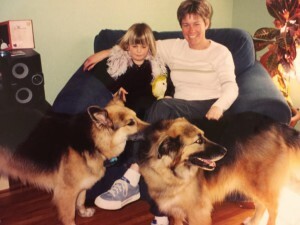 At the ripe old age of 47, I finally know myself well enough to realize that the motherhood path would not have been the best one for me to take. But as I’ve mentioned before, it was the process of living my life – figuring out how I wanted to spend my days and what made me happy – that taught me that. However, I certainly understand what the author, Nina Steele, is talking about when she cautions people not to mistake one’s nieces and nephews and friend’s children as their own substitute kids. I think this is a key point. For what I have found over the years is that the more I focused on getting to know the individual kids and simply enjoy spending time with them, the better Auntie I became. I figured out pretty early in the game that my job was not to discipline or actively guide other people’s kids in their lives. My job was – and is – to love them however they are, wherever they’re at…and have fun with them. Parenting, of course, is a whole other gig. As an Auntie, I play a small but important supporting role. Over the years, my home has evolved into a place where kids of all ages can come and relax, have fun, make a mess, eat some good food and then go home again. Then I clean up the mess, have a good sleep and get back to my regularly scheduled life…with a big smile on my face. Next week, there will be 7 kids staying with me for 3 days: it’s Camp Pope time again! Please click here to read the other blogs in the Mothering Matters blog series. You raise so many thoughtful points. Having such unconditional love and interest in your nieces and nephews is a rare gift that any child would be so fortunate to have. The kids you know are really lucky! And you so enjoy them! I’ve always admired your interest & love for all kids. Camp Pope is just one awesome example of how you embrace your role as auntie. This is such a gift for the kids and teens who share their lives with you. Sounds like your niece will have her hands full! lol. Greece won’t know what hit them. You’re going to have such a great time! hahahahaha…yes, Greece is going to be a hoot! From one Auntie to another, what a great read. I get to spend Friday to Monday with 3 of the 7 and can’t wait!!!! !Have fun in Greece, OPA!! What, you’re not coming to Tilos??? Shoot! I will take a good look at the map of the Cyclades, Jenn…and if Em & I can swing a day trip on the ferry to Tilos (from Naxos or Ios or Santorini), we will!! Have a blast with the kids this weekend, Auntie Stacey! They are super pumped about visiting you guys…have fun! !